Short length wigs for women that are above shoulder length to bobs and boys cuts in all hair style…straight, wave to curly. Beautiful short hair styles, bobs, pixies for women’s available from the classic style, to the trend, more modern look. 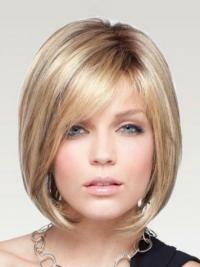 Short wigs are suitable for most any face shapes and are a popular trend in hair salons today. Short wigs include any wig where the longest strand falls above the ears, to the ears, but not to the chin. urhair.co.uk, our Favorite Short wigs! From bobs, to pixies, and even short crops, these summer styles will help you stay cool while looking chic. They're perfect for keeping hair off your neck and shoulders during the warm months, which also means you rarely have to worry about fraying or tangling. Visit our vivhair.co.uk and we are sure you will find the right short wig.